The ugly Christmas sweater has successfully transitioned from tacky to trendy, according to Hancock. From sparkles and scarves to jingle bell earrings and Santa sweaters, holiday fashion can bring out the best in us – or the worst. We checked in with the fashion experts at Drexel’s Antoinette Westphal College of Media Arts & Design to find out what’s naughty and nice in this year’s trends. NICE: “Wear an ‘ugly’ Christmas sweater,” said Joseph Hancock, PhD, fashion merchandising expert and associate professor in the Department of Design. The ugly Christmas sweater isn’t just for hipsters anymore – they are now sold at retailers Urban Outfitters, Old Navy and Target for up to $75. Even famous designer Ralph Lauren has been putting out heavily decorated sweaters every year – including his patchwork number for the Team USA at the 2014 Winter Olympics in Sochi. “This type of sweater is iconic and is embedded in American material culture,” says Hancock. News media interested in speaking with any of these experts should contact Alex McKechnie at ahm62@drexel.edu or 215-895-2705. How do I purchase one? Any info on where we can get that awesome Drexel sweater? 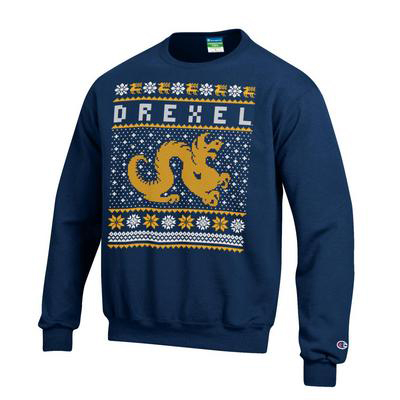 The Drexel sweater is sold out on the website, but I heard there is still a green one available in the Drexel Barnes & Noble Bookstore. The green one is now sold out too. Sorry! 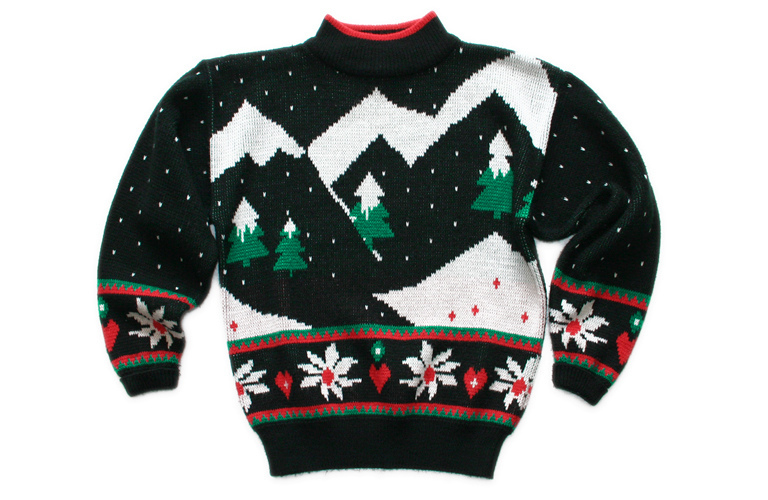 You can try http://www.Ugly-Sweaters.com for a great selection of ugly Christmas sweaters.